Wow! What a year 2016 turned out to be! Once again, I have spent the year getting to know some really amazing ladies as they prepare for their wedding days. I am super lucky to get to spend time doing what I love. 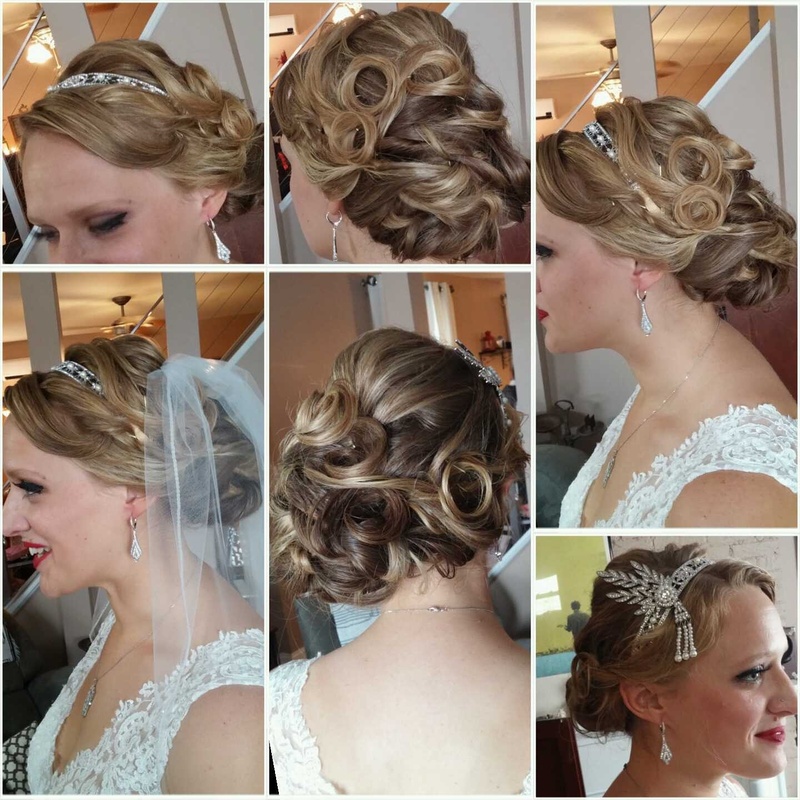 I would like to share with you some photos of brides that I have been lucky to style hair for this year. I’ll start this little recap with a couple of my favorite updos. 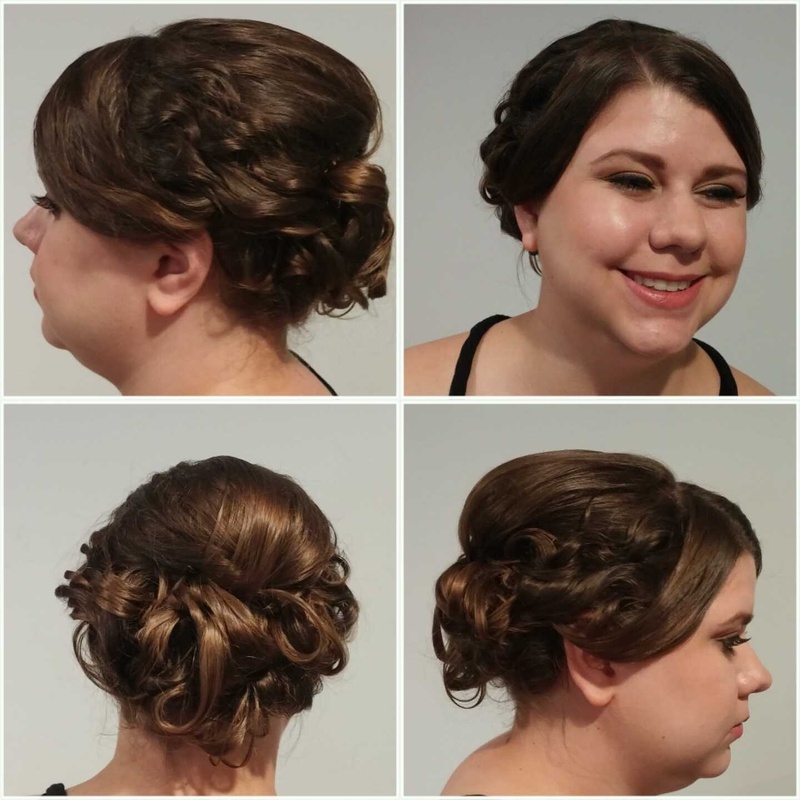 I think everyone knows that updos are my favorite! But these two ladies chose styles that I love so much! My dear friend Laura has amazing hair. 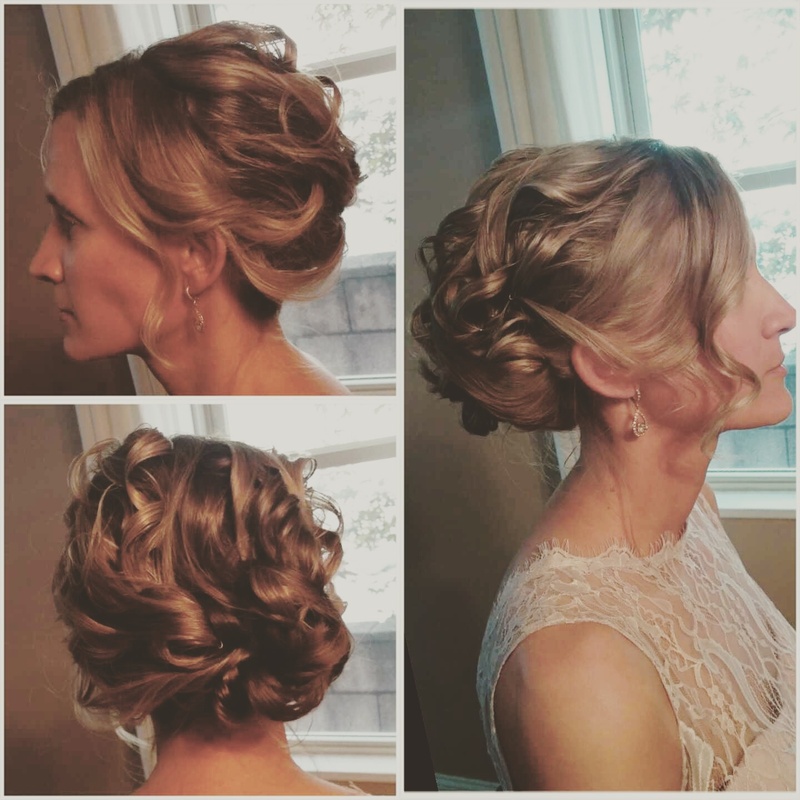 I love that she let me go crazy with volume and create her big, beautiful, romantic, giant updo. Shannon also go married in May and had the most perfect and delicate headpiece to go with her updo. I loved it! One thing I enjoy most about this amazing job I get to do, is getting to help put the finishing touches on a unique wedding day. For example. In May, I got to spend the day with Madelaine and her bridal party. She had a very specific vision for her day. It was elegant, and vintage with a little bit of whimsy. Sweet Sabrina got married in August. She is hands down, the most kind person. I have known Sabrina and her family for a very long time. I was very honored to be chosen to be a part of her most special day. I am still in love with the head piece that he made herself to wear that day. and her updo was pretty classic and timeless. Andrea got married in July. 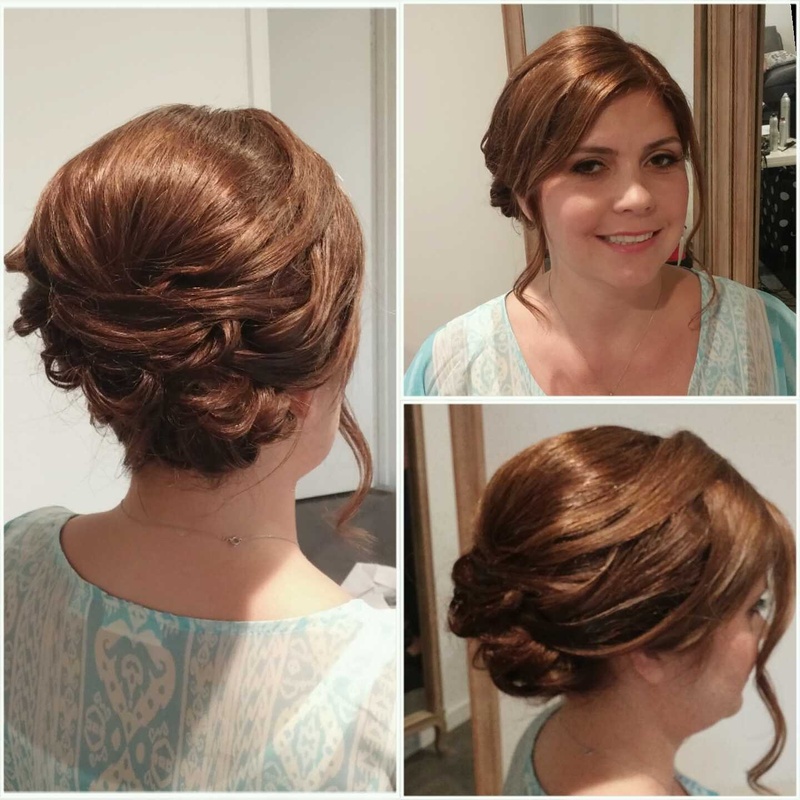 I had met this lovely bride 3 years earlier when I styled her hair for her big sister’s big day. It was truly special to be apart of this wonderful family’s celebration again. 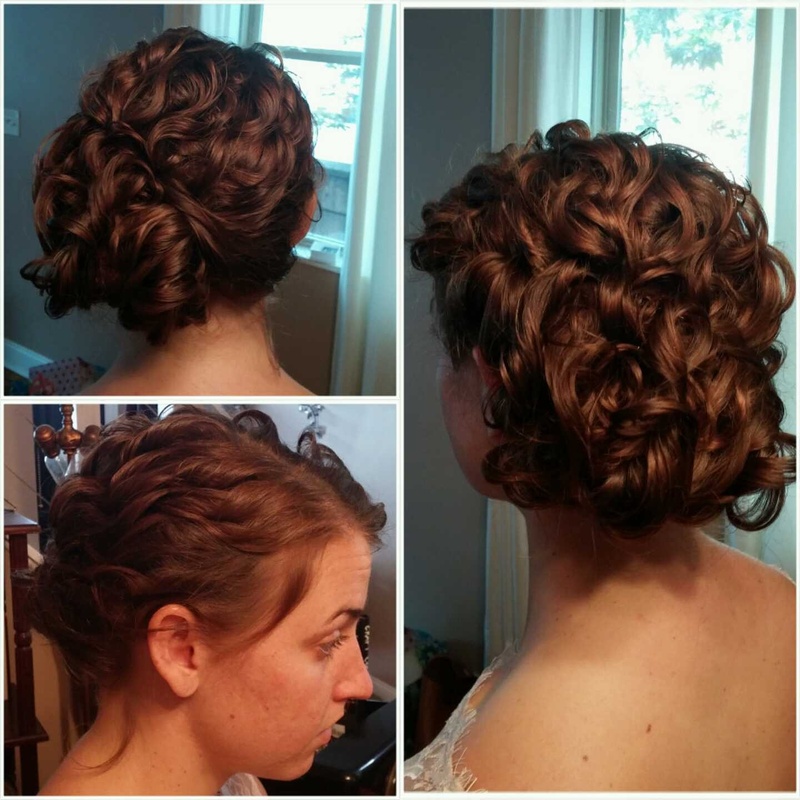 Sometimes, the most simple and classic of updos can have a dramatic effect on a wedding day style. Valerie got married in November and chose to keep things classy and I loved it. I especially enjoyed the volume of this updo paired with the simple head piece that she had remade from a family heirloom. One thing I enjoy most of all is working with brides who have a very specific vision that also need to tie into very traditional guidelines. When I met Nadia and saw her amazing hair, I was so excited! I got to style her hair for a couple of her traditional ceremonies. On the first, she wanted a super long braid decorated with flowers. I still smile seeing the photos of this epic braid. 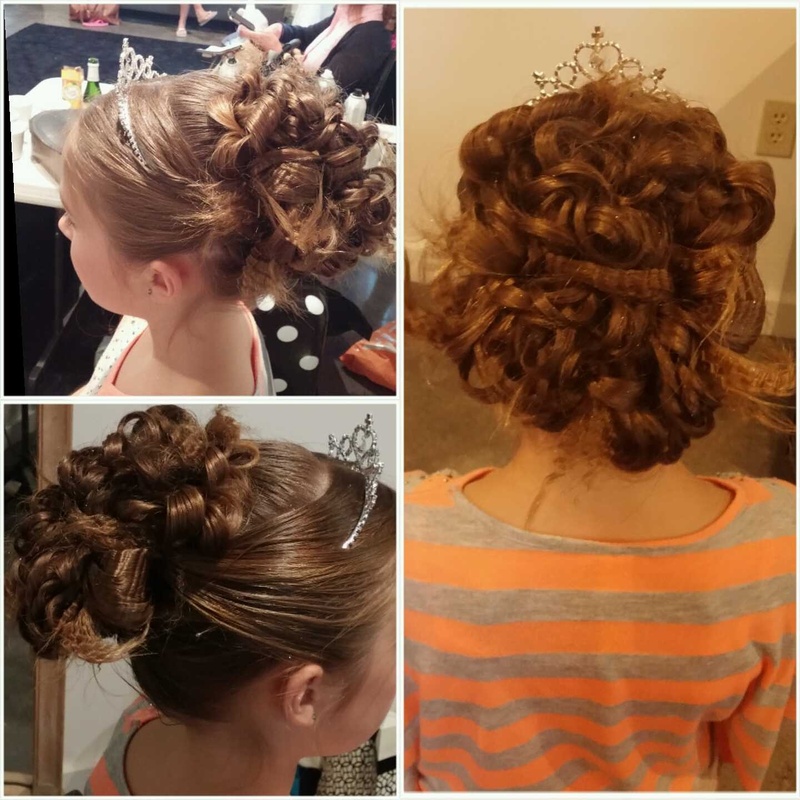 On the second event, she and I created a massive, breathtaking updo. I would seriously love to style it all over again. The final look was decorated with so many beautiful pieces. It really did feel like a magical princess kind of moment! Speaking of braids. I love braids! Meghan was married in early September and her long braid is still one of my most favorites! Hannah got married on October 1 and I will never forget how laid back and relaxed she was as a bride. I definitely enjoyed working with her. 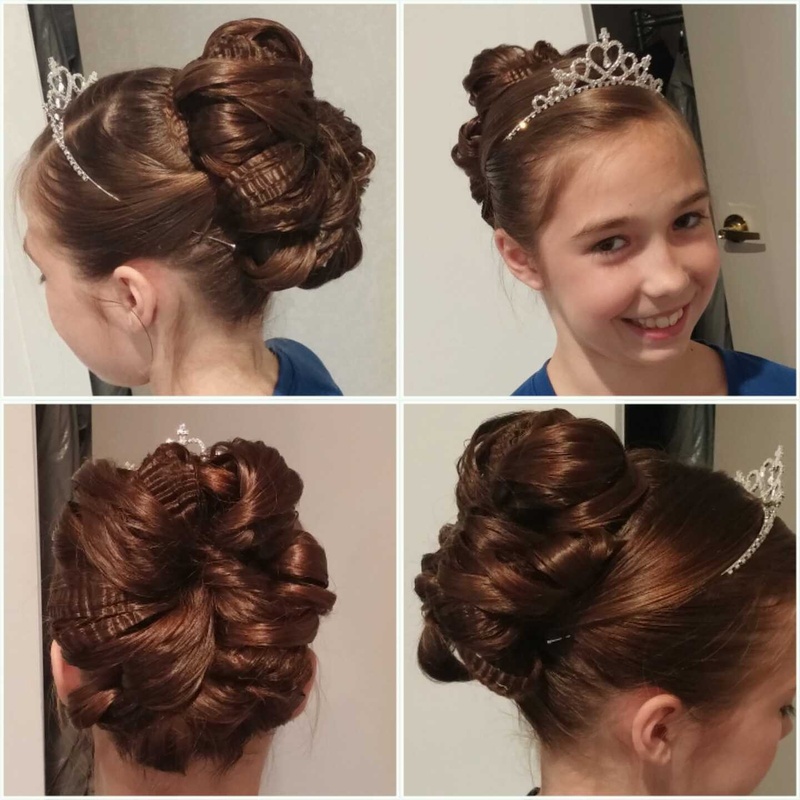 Plus, she chose to wear a lovely updo! 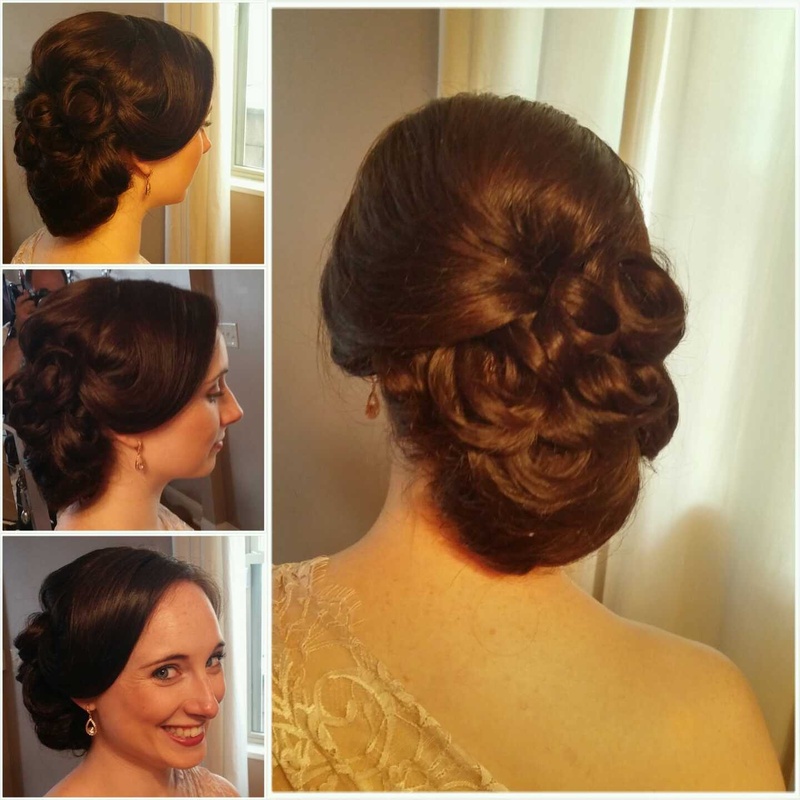 One of the most elegant styles I had the pleasure of styling this year was for Megan. Plus, I loved all of the volume! After seeing this style with her amazing dress, I really was a little speechless. Karley’s wedding was in early May of 2016 and even though it was almost a year ago, I will never forget how lovely she was to work with. I loved the texture and fullness of her hair. Not only was she amazing but I love her family. How lucky am I to work with such amazing people! Finally, Ashley was married in October and I had a blast with she and her bridal party! I won’t soon forget the fun times with those ladies. 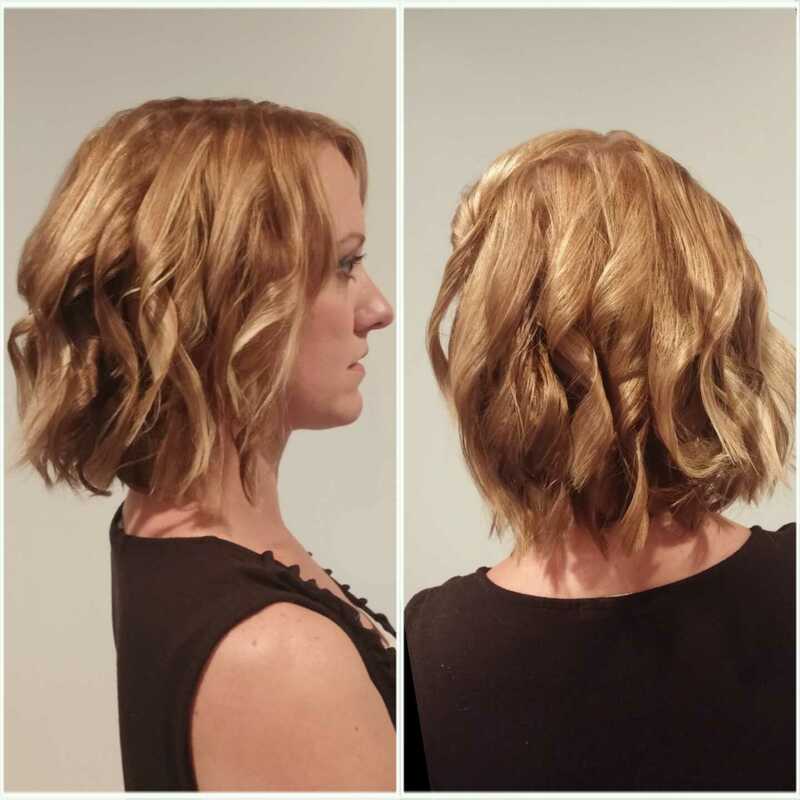 I loved how Ashley chose to keep her long ombred hair in soft loose curls. It was a perfect match for the glam of her dress. This was just a small sample of my year and as you can see, I had an amazing 2016 wedding season. I would love to share with you photos from each and every one of their days. 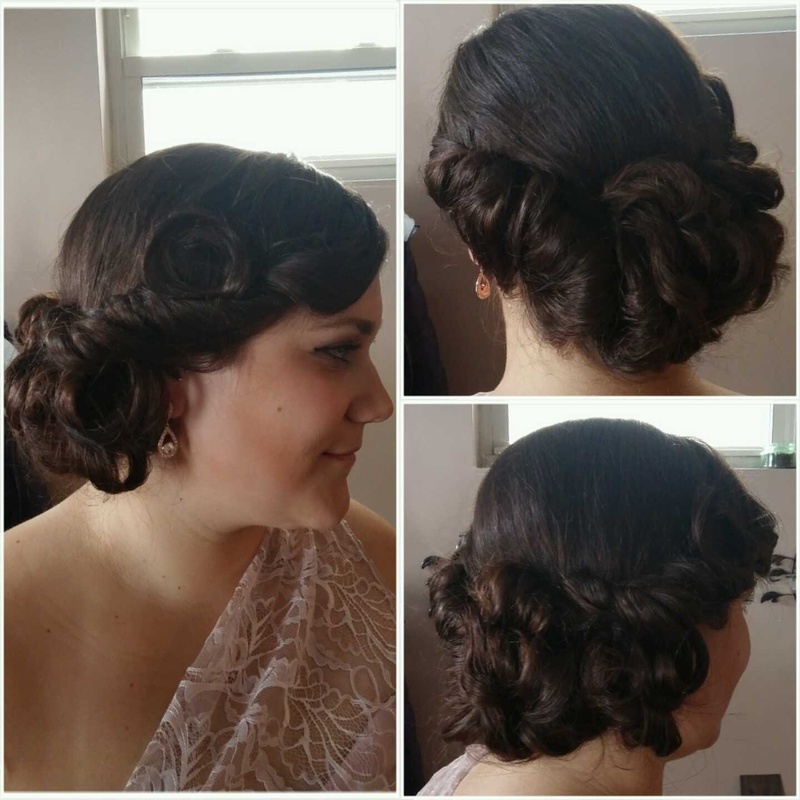 From glamourous updos to soft pretty curls, my brides have the best style! I’ll sit down later and share with you some more photos of the great bridal parties I got to meet in 2016 soon! I want to thank each an every bride that chose me to be a part of their amazing days. I always tell people that I have the best job, and I mean it! Even though my part of their big day is pretty small, I’m lucky to be there to share in the love and fun. I wish each of my brides a long marriage full of fun, love and happiness. Looking forward to seeing what 2017 has in store! 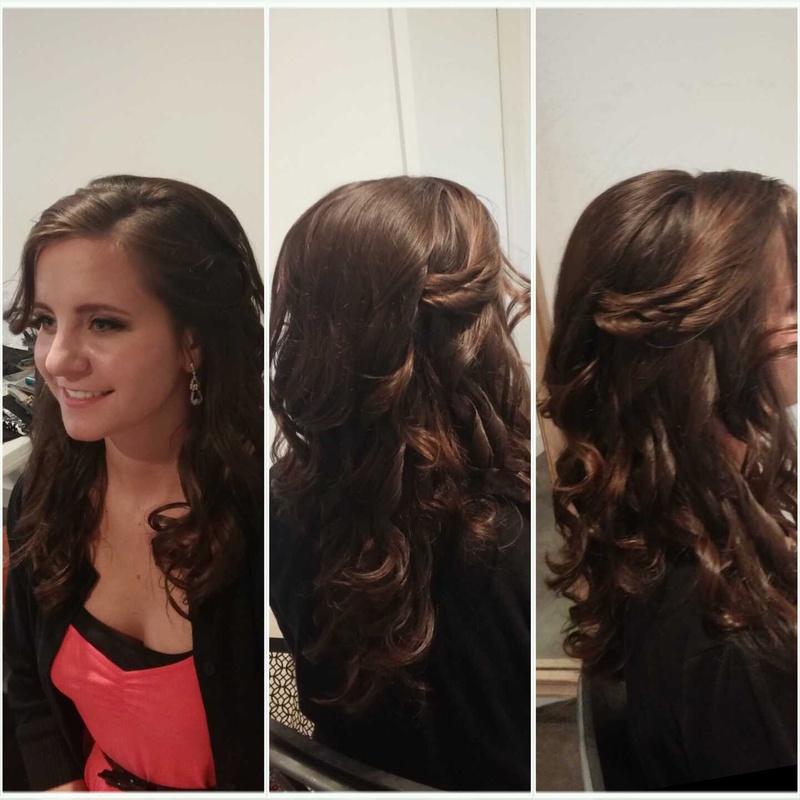 So excited to announce that now, in addition to on-location styling for wedding and other formal events, I will be styling behind the chair at Copacetic Beauty Lounge in Pittsburgh’s North Hills! All bridal trial will take place at the new, beautiful space. I will also be offering hair cutting and coloring services! Be sure to call 412-837-2534 to schedule an appointment with me or email me through this site as normal. I can’t wait to talk with you soon! !